This blog turned three years old on January 15. I did a special post on vintage compact collecting - see here. To thank you for your support over the last three years, here is the first of three multi-prize makeup and skincare giveaways that will be held on this blog until April. There will be two winners, and the prizes are open worldwide. To enter, and for more deets about the prizes, scroll down. 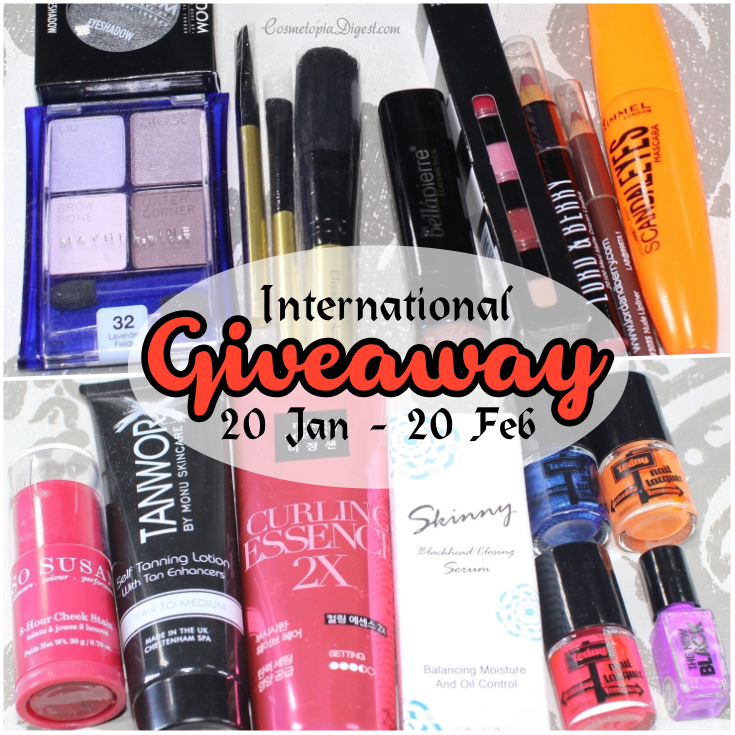 The giveaway ends on 20 February 2016. I will announce the winners once I verify the entries, and get in touch with them. If I do not hear back in 48 hours, I will choose another winner. Once I hear from the winners, I will post as soon as possible - I have an unpredictable schedule and, if I am travelling, it could take up to a week for me to get it in the post. If I am unable to ship nail polish or liquids, I will replace them with products of equal value.